One of the key requirements of healing our sweet bodies is finding the right information at the right time and then acting on it. Like everything in life, sometimes this happens and sometimes it doesn’t. 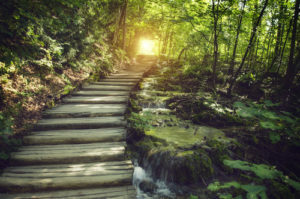 Sometimes we wander along our healing journey not having a clue which way to turn, who to ask, where to go from where we are and, all to often, who to trust. There is a mental thing that most of us do and it’s called Confirmation Bias and I believe it can have something to do with whether or not we find the right information at the right time. The definition of ‘confirmation bias’ is finding evidence to confirm our existing beliefs. And most of us do this all of the time, albeit mostly unconsciously. But chances are that you didn’t look at the information that would prove your theory or idea wrong or improbable. But don’t feel bad…most of us want to feel better so badly that we can overlook overlooking what we don’t see. Just look at Facebook and people’s posts and you’ll see what we mean. People will post just about anything to prove their point. It thought this was very good advice. The challenge with finding information on Google or social media sites, though, espcially Facebook, is that the algorythm (programming that determines how infomation is dished up…and it IS dished up) is that the social media platform is known for showing you more of what you already believe in and know. But don’t take my word for it. Do a test. Post or share a link to a health article that may be considered controversial in the United States, especially one about cancer or vaccines or cannabis. Then, go look at your wall on other people’s phones. While your results might be different, my personal experience is the my ‘friend’s never see these posts. WHY they don’t see them is far too deep and wide for this article but just suffice it to say, you need to know that you may not be able to find the information you’re wanting and needing quite so easily now or in the future. When was the last time you went to Google and looked up information contrary to what you were wanted to find? My guess is that you don’t do it very often but my suggestion is that you start doing every time you go looking for health information that you ‘think’ you are right about. My personal experience is that the information I find when I go looking to prove my ideas wrong is invaluable. I often find another way to look at things, another idea that is similar to the idea I had in the first place or I find that I’m just barking up the wrong tree (which my dog, Jasmine does all of the time looking for squirrels:-). So next time you get a spark or idea about what could be causing your physical, mental or emotion symptoms, let yourself entertain the idea that you may be wrong or you may be right and just notice where your mind goes as you search for clues.